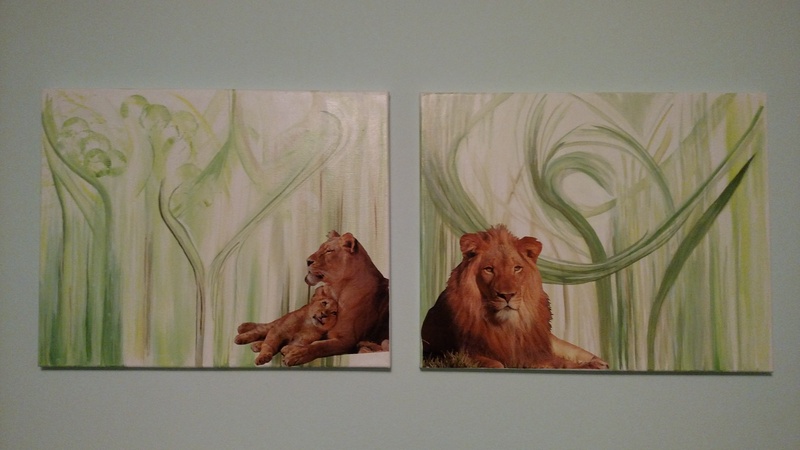 We choose a jungle theme for my son’s nursery. 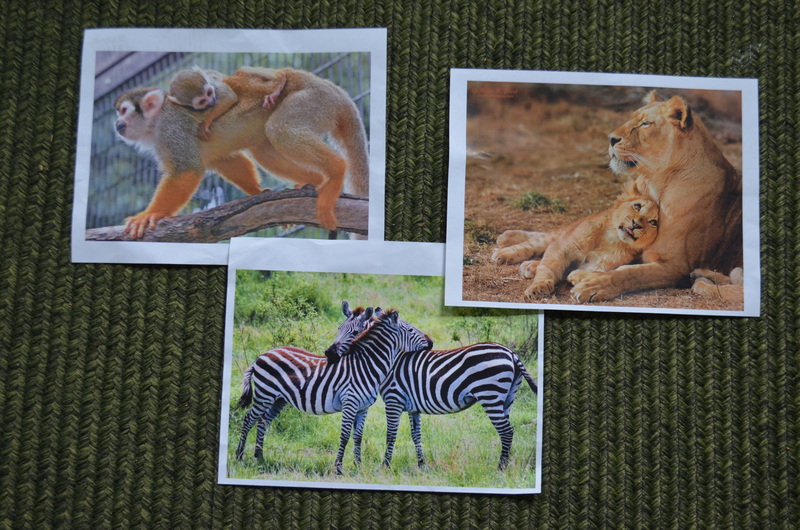 While I picked out a baby animals, jungle print fabric for the crib and accents I wanted components of the room to be a little less cutesy – something he could grow with. I decided on art that used real looking animals but then quickly became dismayed by the amount of time painting life-like animals would take. Luckily, I thought up a short cut! Here is the finished product for those that cannot wait! 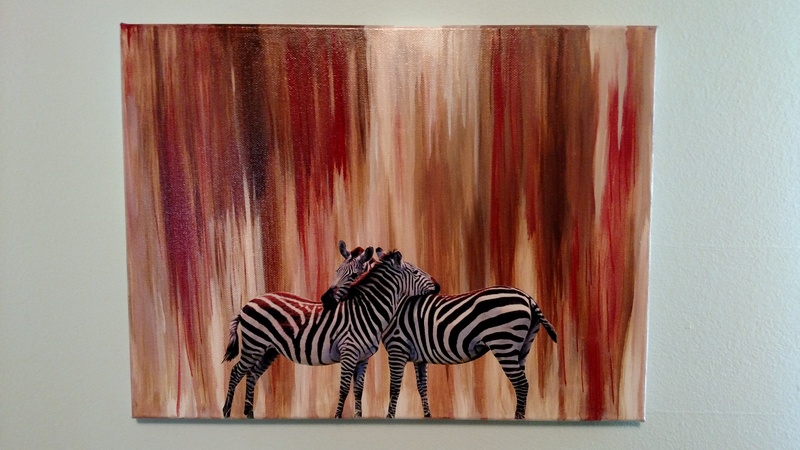 I first started by finding high resolution photos of animals online. I pasted them into a word document to make sure their size (in inches) was correct and then printed the photos with a standard color printer. 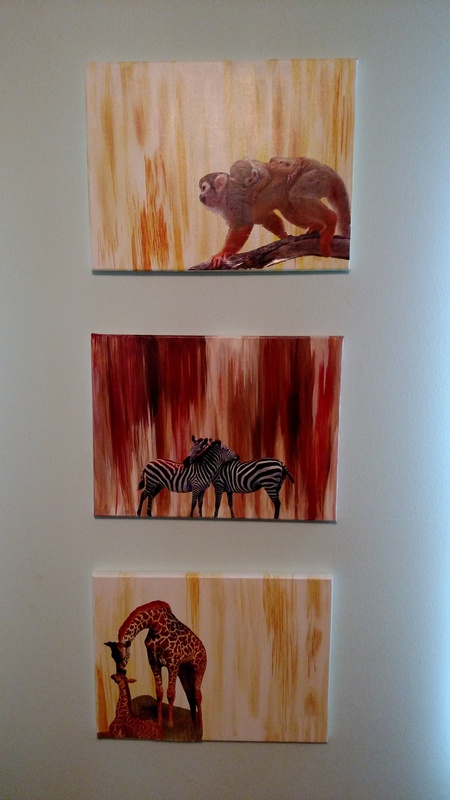 I cut out the animals and made sure their placement on the canvases worked well. 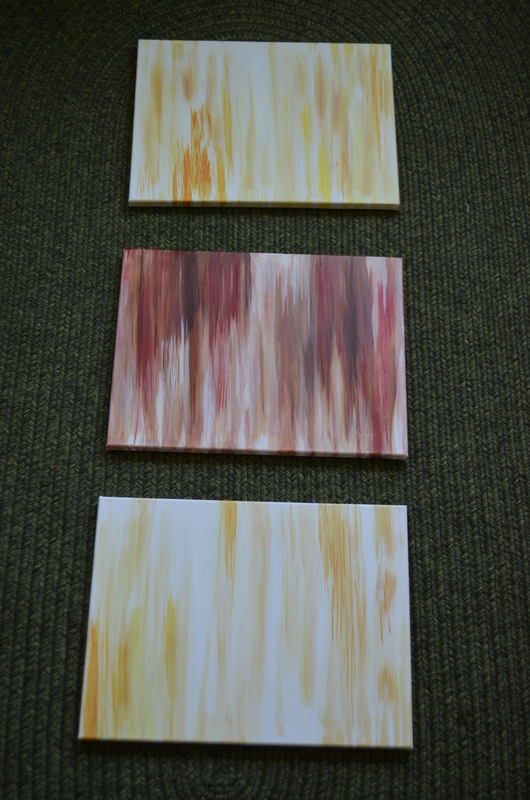 I next did a water wash of the canvases and then went back and painted them with a mixture of the desired colors and white – all watered down to varying degrees. I was looking for a really streaky look. 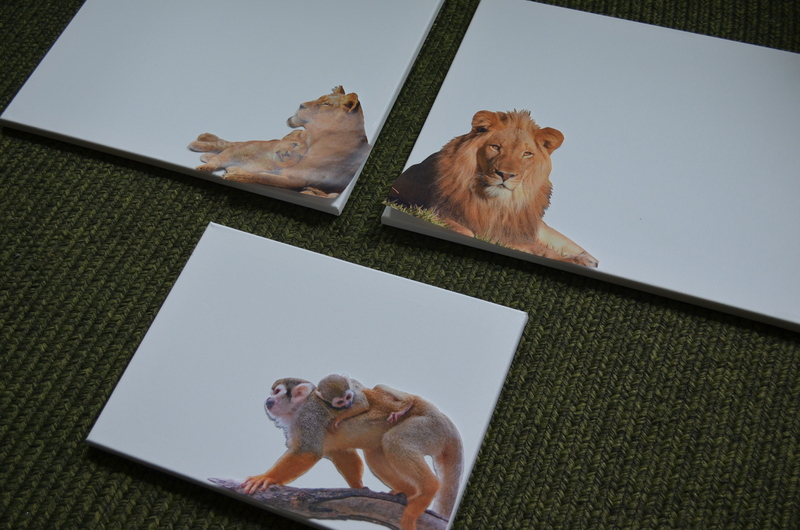 Once the canvases dried I covered them with a layer of slightly watered down Elmers glue and layed the photos in place. I had to work the photos a little bit as they dried to work out air bubbles. I then covered the entire canvases in a couple layers of glue. Mod Podge would also work well! Ta-da! I hope this inspires some art of your own!